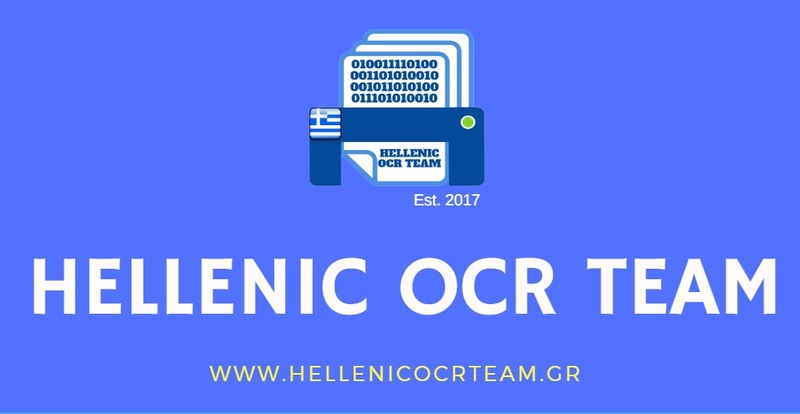 This is a teaser trailer (length 4:40) originally produced to be played during a conference (WLIC 2019 in Athens, Greece) and includes the most significant facets of the Hellenic OCR Team, data capturing & processing, and data analysis tools. Except from digital sounds that shall be used to a limited extent, no music or voice-over will be recorded on the final conference video. The idea is that it plays in the background, while the presenter -in a synchronized fashion- is explaining the topic live to session participants. Certainly, the full methodology cannot be explained within a few minutes. Hence, a full-length video is already under production. Together with the relevant scientific papers, they shall be available to any parliamentary administration than intends to start producing open data. Our research shows that this is a manageable task, since the presented method is both modular and scalable, and thus easily to be adapted to fit other parliaments’ needs. Of course, not only parliaments but also other organizations can make use of our methods and technology. Do not hesitate to contact us for more information!